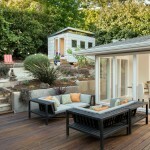 Victoria Day is fast approaching; time to start looking for great places to take your family. We’ve made a list of some of the top spots all around the GTA that you should definitely look at for your family-focused day off. So put on the sunglasses, slap on some sunscreen and get ready to ring in the first long weekend of summer! Asbridges Bay Park is a great choice to really soak in the sun and trees. Stroll the beautiful trails, pack a picnic, or prep for a day teaching the kids how to fish. As a wonderful plus, Woodbine Beach is mere steps away; and nothing screams summer more than a day at the beach! Finish off your walk through the park by lounging out for the rest of the day by the water. 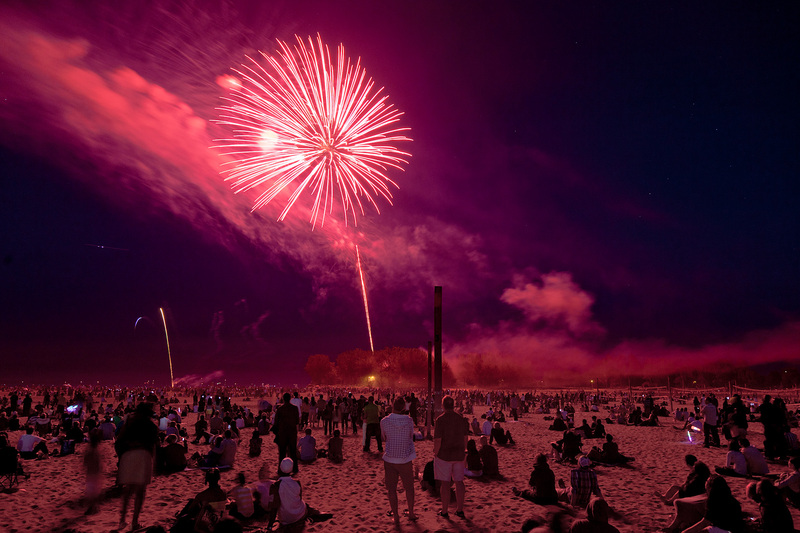 Be sure to stick around to sunset where a dazzling display of pyrotechnics (featuring about 2,000 fireworks) will provide a spectacular finale. Treat the whole family to a day at Canada’s Wonderland where you can play on over 200 awesome rides, coasters, and attractions! This is sure to be a smash hit with the kids no matter what you get up to. Then round out your day with an action-packed fireworks display over the iconic Wonder Mountain. The show has a unique, custom-design set to an original soundtrack that you won’t find anywhere else. This will be one of those weekends you’re sure to remember. If you’re looking for something a bit quieter the Township of King presents their Victoria Day Fair to as a kickoff celebration to the summer season. There’s a morning parade starting at 11 am that winds its way down to the fair proper where you’ll find a whole slew of entertainment for everyone in the family. You’ll find everything from live entertainment on stage, local vendor stands, and food trucks to pony rides, arcade games, face painting, and midway rides. Don’t forget to stop by the booth for your opportunity to Dunk The Mayor too! And, of course, it wouldn’t be a Victoria Day celebration without a great fireworks display to finish off the festivities. Junior, Harbourfront Centre’s new international children’s festival, is bringing leading contemporary artists together in Toronto to challenge and animate young minds. This is going to be an incredible experience for children; introducing them to new ideas and world-views! This festival has productions ranging from as far as Australia and Norway to as near as Québec and the Mohawk Nation of Kanawake. Junior seeks to provide an opportunity for youth to explore concepts of identity, growth, belonging and transformation in a world that offers a lot of challenging questions. This event just sounds way too good to miss! Mississauga Celebration Square is hosting a pep rally for Victoria Day featuring dinosaurs AND robots. If you’ve got energetic little ones who love to dance, this is the place to be. This event kicks the day off with a dinosaur, robot, confetti dance party … you read that right. Of course, dancing isn’t the only thing available; splash around in the fountain or see if you have a little paleontologist on your hands as you dig around in the Dino Excavation Pits. Then try your luck at the 25ft prehistoric rock climbing wall before visiting the baby dinosaur petting zoo. 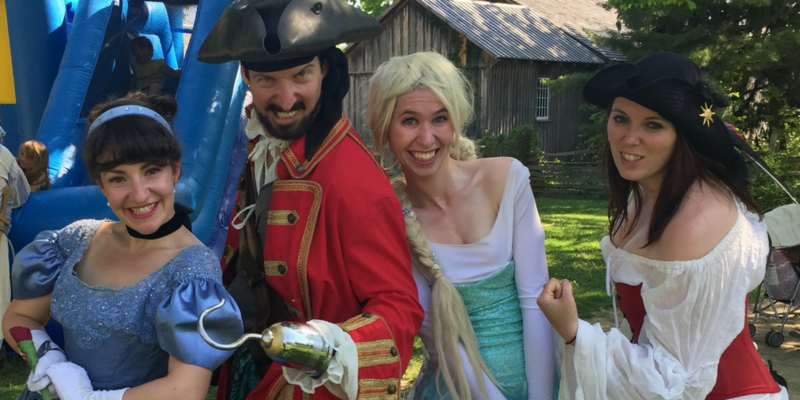 Come face-to-face with pirates and princesses as they take over Black Creek for Victoria Day weekend! You’ll meet interactive characters throughout the pioneer village as you scour the area in a village-wide treasure hunt, attend Pirate School, and visit the Pirate Ball. Or try more civilized options like the Imperial Charm School, Belle’s Enchanted Library, and The Royal Ball. Either way, this is sure to be a day full of family fairy tale fun so bring your eye-patches and tiaras. For those with aspiring fashionistas, Urbani_T’s Public Playground is a must see! Celebrating urban culture and creativity, this large-scale free outdoor event features local talent with live music, art installations, fashion talks, shows, and design workshops. Watch as Nathan Phillips Square is taken over with an explosive mash-up of music, art, fashion, and design sure to inspire your creative little ones. With everything that’s available all around the GTA the hardest choice will be figuring out if you can fit in multiple trips! Whatever you end up doing this Victoria Day Weekend, we at Mosaik Homes hope you all have a safe and enjoyable time surrounded by friends and family.